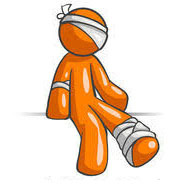 Have you ever been injured while at work and can not continue working that job for some period of time. Well, if that is the case then you may be covered by workers compensation insurance or, what is commonly known as workers’ comp. Workman’s compensation insurance is a form of insurance that provides for medical care for a company’s employees as part of their compensation package. In turn, the employee gives up their right to sue the employer for negligence. Now there are various differences in compensation plans from state to state, a worker’s comp package can provide for weekly payments in place of wages, compensation for economic loss, reimbursement of medical expenses, and benefits payable to the dependents of worker’s who are killed while on the job. Damages for pain and suffering or for employer negligence are not available in workers compensation plans. While this seems fairly straightforward on the surface, but in some cases the amount of compensation for each of the items described above become a difference of opinion between the injured party and representatives of the employer. In this case, a workman’s comp attorney is hired to plead the case on the part of the injured worker due to the fact that the workers compensation claim process can be very difficult. In general, the amount an injured worker will receive in workers compensation benefits relates to two factors. The first factor is the workers current level of wages. The second factor is a percentage. A worker who files for workman’s comp will receive sixty-six percent (two thirds) of an amount equal to their weekly income, and, for most people, this is two-thirds of the worker’s gross weekly income. Injuries or work-related illness that renders a worker permanently incapable of returning to work may also receive a lump sum settlement. This is, in many cases, a point of contention between the worker and the employer in terms of the lump sum payment. This arises due to disputes between both parties as to the extent to which the injured party can perform his current job functions or any job functions at all. Combine this with an estimation of the future wages which the employee might reasonably be able to earn in his current job and disagreements between both parties will naturally occur. This is where the workman’s comp attorney comes in. Lawyers representing both parties – the employee and the employer may eventually seek arbitration. The case is then taken to either the workers compensation commission, a workers compensation board, or the industrial commission depending upon how each state deals with arbitration of workers compensation hearings. Contention may also occur when the employer disputes the claim when the claim is rejected by the employer’s insurance carrier. This would be a contention on the part of the carrier that the employee is able to return to work. As can be seen from this brief illustration, workers compensation can be a fairly sticky mess, especially when you understand that insurance carriers do not make money when they are paying out claims and it is therefore not in their interest to easily side with the employee. It is therefore important for workers to be able to find competent workman’s comp attorneys to fight for their case.